A slaughterhouse or abattoir is a facility where animals are slaughtered for consumption as food. Slaughterhouse in Nigeria is more than a facility where animals are processed for human consumption; it also serves as market where people gathered for exchange of goods and services. In a typical Nigeria slaughterhouse or abbatoir, there are other business transactions by traders of various food items, raw and even cooked foods are put on display for potential customers. Therefore, over 1000 persons daily throng a slaughterhouse to buy or sale one goods or the other. Slaughterhouses can be found in every market in communities and Local Government Councils in Nigeria. And one disturbing items used to processed the slaughtered animals before put on display for potential buyers, is firewood used as fuel to roast the animals. 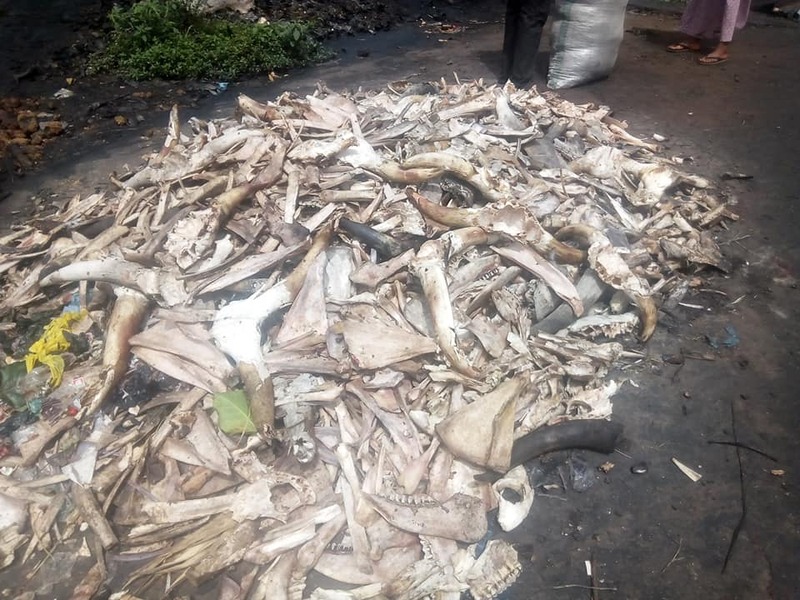 Today, butchers complain of high cost of firewood which has made them seek for alternative to firewood; used car tyres as fuel to processed animals to stay in business not minding the health implications. It is a common sight to see thick smoke coming from slaughterhouses in any community it is sighted. This has become a menace to the environment especially in Northern Nigeria where desert encroachment and climate change is taking its toil. Experts say that it is a threat to both humans and aquatic lives and to a large extend it causes environmental degradation. Going round the Kaduna Metropolitan city, there are over 10 slaughterhouses, with many more spread across the 23 Local Government Areas of the state. The same is applicable to all the 774 Local Government Areas of the country, with about 7- 10 abattoirs in each locality. Mallam Usman, is a butcher at the slaughterhouse in Kakuri in Kaduna South Local Government Area. 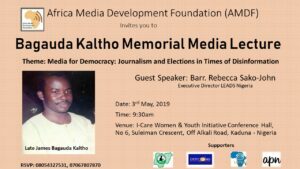 He informed the team of Journalists that visited the facility that about 10 cows, over 200 goats and numerous chickens are slaughtered and processed in the facility daily. 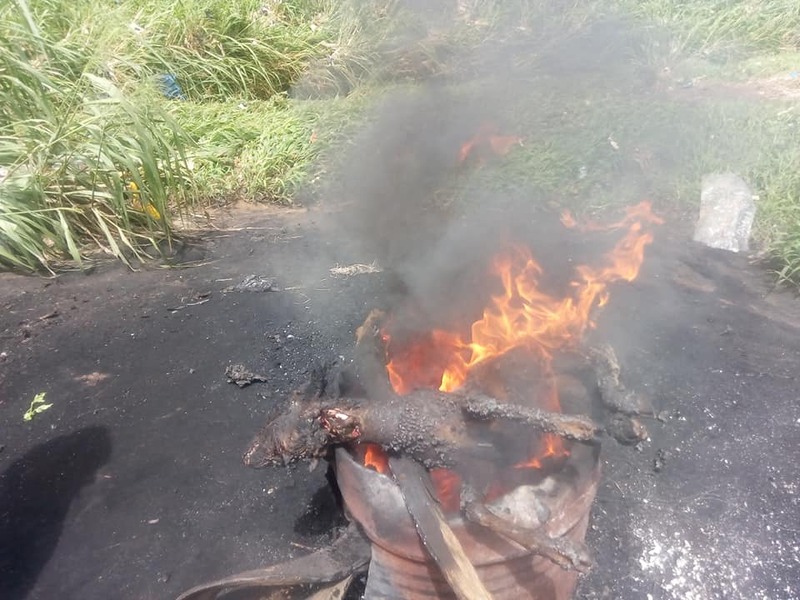 He said the hides and skin of slaughtered animals are not left out, as they are roasted to produce another kind of delicacy known in the local parlance as, “Kpomo” with automobile tyres used as fuel. Usman disclosed that each day, he uses about 14 tyres to roast the skins of animals. He quickly added that the slaughterhouses in Tudun Wada, Sabo Tasha and Kawo in Kaduna South, Kaduna North and Chikun LGAs respectively, which are bigger than the facility in Kakuri would be using more than 14 tyres per day for daily process of animals. 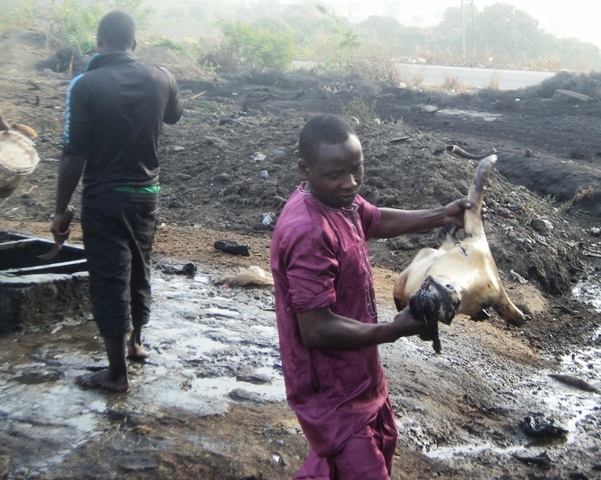 Speaking in the same vein, an environmentalist, Comrade Jibrin Ibrahim, expressed dissatisfaction over the attitude of Nigerian butchers for processing slaughtered animals with expired tyres burnt; and then called regulatory agencies to visit these slaughterhouses to ensure compliance to save the environments. 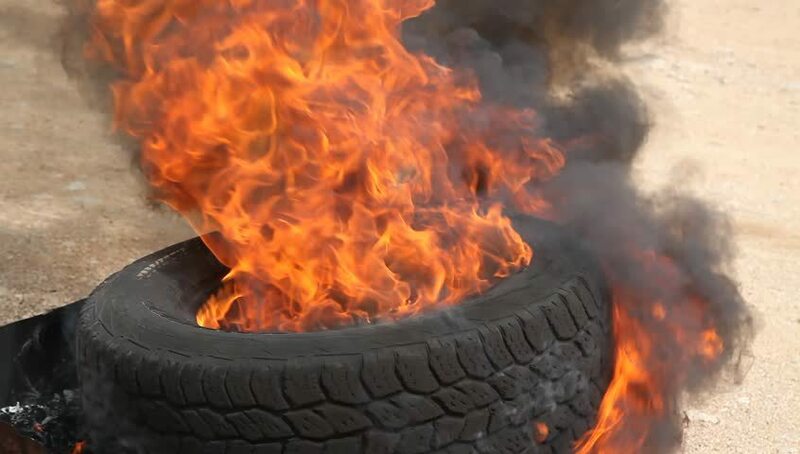 According to research, emissions from burnt tyres causes air pollutants which in turn poses a serious threats to human health, animals, plants and environments because tyres are not designed to be burnt as fuel for processing animals for food. This is because it contains hazardous ingredients. The rubber in tyres contains 25 per cent extender oils derived from Benzene, 25 per cent Styrene, a derivative of Benzene, and 25 per cent 1.3 Butadiene. Dr. Yusuf Nadabo is the Patron of African Climate Reporters, and former Head of Department, (HOD) Anatomy, Kaduna State University, (KASU), during an interview said that fire particulates are significantly more hazardous and dangerous to human health than larger particulates because toxins collected on the surface of fire particulates are aspirated by humans and this lead to lung disease. 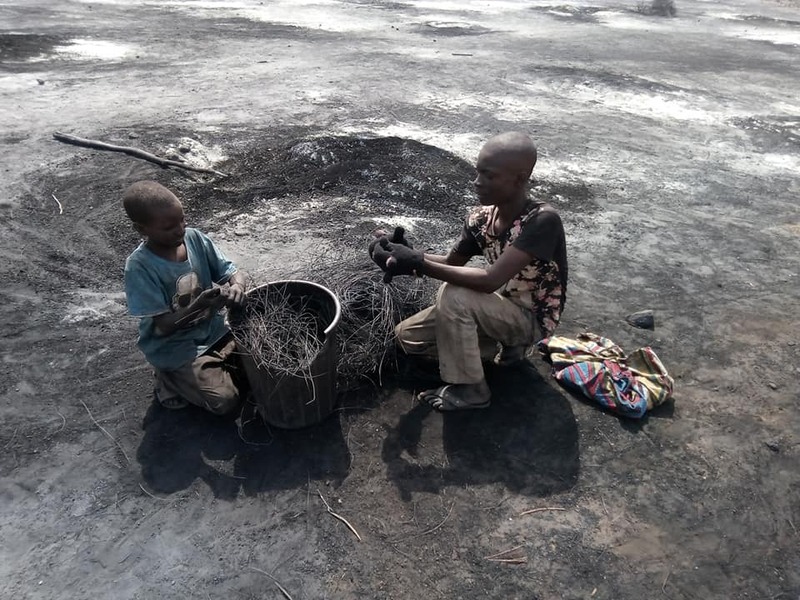 Dr. Nadabo said that fetus, infants, children, elderly, asthmatics and immune suppressed individuals are more vulnerable to pollutants released from burning tyres. Small particulates released by burning tyres worsen asthma and may contribute to heart disease. The former Head of Anatomy pointed out that burning tyre also increases emissions of Dioxins and Mercury. He added that nursing mothers especially should be concerned about Dioxin and Mercury exposure. “Dioxins are among the most highly cancer causing substances known. There is no safe level of dioxin intake by humans and dioxins accumulate in plants, domestic meat, dairy animals, and humans,” he explained. Dr. Nadabo further said that in each local government visited, you will discover over 5-10 slaughterhouses, and the only means of processing these animals is the use of tyres fuel, and this is very harmful to humans, animals, plants and the environments. “If a maximum of 5 tyres are used daily to process slaughtered animals, multiply that number with 774 Local Government Areas in Nigeria; then you would be surprise to see the quantity of fumes released daily by slaughterhouses in Nigerian. In addition to the negative effects of open tyre fire on health, there is also the environmental angle. The three main effects tyre burning has on the environment is the air, water, and soil pollution. The airborne pollution from burning of tyres kilns is significant. The black fumes contain heavy metals and other harmful pollutants that linger in the air and can lead to acute or chronic health hazards. If unconstrained, this runoff can then be carried away by rainwater to local water sources contaminating them. Additionally, the remaining residue can cause two types of pollution: these are immediate pollution by liquid decomposition products penetrating soil, and gradual pollution from leaching of ash and unburnt residues following rainfall or other water entry. Speaking further, Dr. Nadabo said that airborne emissions from open tyre fires have long been suspected of representing a serious impact to health and the environment. However, due to lack of sufficient data, it was uncertain as to exactly what was being emitted, how much was being emitted, and how dangerous these emissions were, especially to sensitive individuals like children and the elderly. He noted that saving money on fuel by burning tyres should not take precedence over public health. Industries have a social responsibility to be good corporate citizens and good neighbours. He called for government’s intervention to improve the standard of slaughterhouses in the country. He added that there is need for government to develop regulations and standards enforced by law regarding disposal and reuse of scrap tyres, as well as encourage butchers on the need to embrace modern methods of processing slaughtered animals rather than roasting with waste tyres that is very harmful to humans, animals, plants and environment. Similarly, a Kaduna based Veterinary Doctor and Consultant, Tijjani Salisu, said that using tyres as fuel in slaughterhouses to process animals has negative effects on human health and environment, as well as workers at abattoirs and by extent the host communities. Dr. Salisu said that tyres are believed to contain toxic materials which could pose health threats to humans, soil, water and air. Therefore roasting slaughtered animals with tyres increases the heavy metal concentration in the hides or skin of the slaughtered animal which diffuse into the body beyond acceptable limits. He added that boiling of the slaughtered animal slightly reduces the heavy metal concentration, but not below the safe or acceptable limits. According to him, the smoke from the burnt tyre which contains Carbon Monoxide has a serious impact on animal skin; noting that people buy processed meat not knowing the dangers of eating meat that was processed with expired tyres. “Tyre being non-biodegradable combustible material, when burnt under open and uncontrolled fire conditions in low temperatures produces black fumes as well as toxic nonvolatile products such as soot, which is incorporated into the environment causing air and water pollution as well as resulting to human and environmental hazard. “Butchers used expired tyres to roast animals because it is cheaper than buying firewood. They used it to roast ‘Kpomo’ without knowing the quantity of Carbon Monoxide that enters into the skin,” he said. Dr. Salisu added that some butchers at slaughterhouse when they die, no one cared to asked what happened? And to those that are still working in abattoirs, they never visited doctors to know their health status. He called for the regulatory agencies to checkmate the activities of these local butchers in Nigeria to ensure total compliance, and henceforth slaughtered animals should be disposed of appropriately in order to minimise the contamination of soils, water, air and the surrounding environment with heavy metals.